One of the main problems that HMD Global, or Nokia Mobile if you like, is faced with in sales is the visibility of their devices and the lack of the story about the devices, which should be cleverly based on the advantages the specific device has on the smartphone market. Browsing through the printed media while enjoying a cup of coffee in the Sunday morning is still a ritual for many, and placing your best product on the cover of the most printed newspapers would be a great marketing move. The first thing Finns saw today after taking the popular Helsingin Sanomat, the largest subscription newspaper in Finland and the Nordic countries according to Wikipedia, was the Nokia 9 Pureview with its unique penta camera setup. 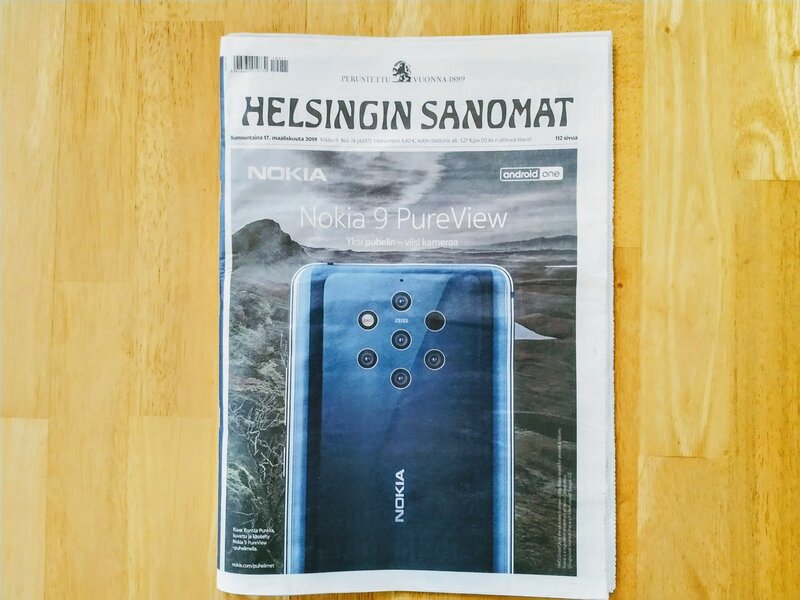 This is a great marketing move and eventually a step forward for the sales of Nokia 9 Pureview in Finland. At least Finns will know that Nokia has a camera monster once again in the stores. But, the medal that the marketing department of HMD got has two faces. The price for putting Nokia 9 Pureview on the front of HS is not small. 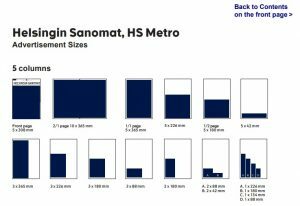 If you click on the link, you’ll get the official price list for the various sizes of advertisement that can be placed on the printed version of HS. 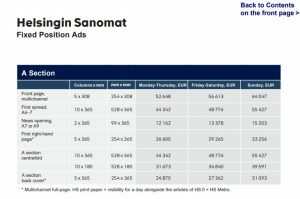 To cut the story short, the price for the front page position (print+web) is € 64047 which is around 101 Nokia 9 Pureview if we take the suggested price of €649. We don’t know the exact price that HMD paid, but it isn’t small. Maybe they got it for free, but nothing is free today. While I praise the move since it will probably have a positive effect, could the visibility be done in another way? I see that some web sites already got their 9 PV for the test, but after they are done with the review, I rarely see the 9 Pureview name mentioned again in their new posts. Additionally, HMD could divert more devices for test purposes so more blogs/portals/tech reviewers could get it at the same time. Huawei did that with their Mate 20 Pro and all the important blogs/portals/tech reviewers/influencers/photographers got the device in the same time and pushed news, pics, reviews, basically spamming the web with the new Mate.